Remember the Allen Rack Review? Well here’s the update and it’s not so good. 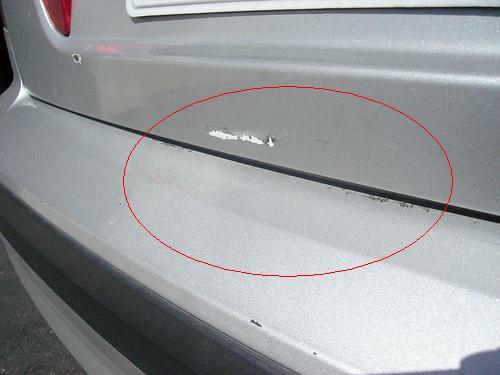 After a few months of using the Allen Rack I found that the lower portion of the rack started to rub on my trunk and bumper, thus chipping off paint and making permanent damage to my vehicle. Once I removed the rack, you can see where the paint came off and you’ll notice marks on my bumper. This is about 3 inches of damage on the trunk. 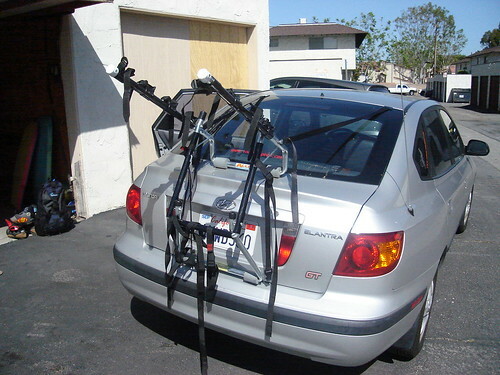 So here’s the deal, if this has happend to your car, then I’d suggest that you contact Allen Racks to find out if there is a remedy to the problem. 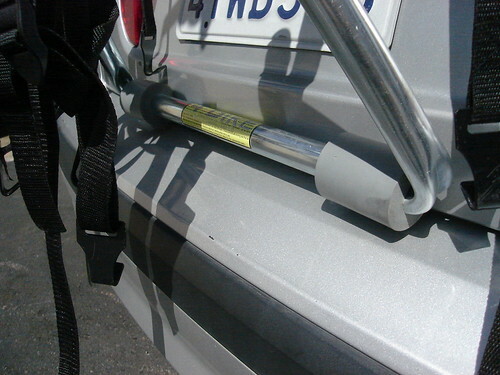 Or you could always go to Home Depot and get some foam tubing and place it where the rack touches the car.